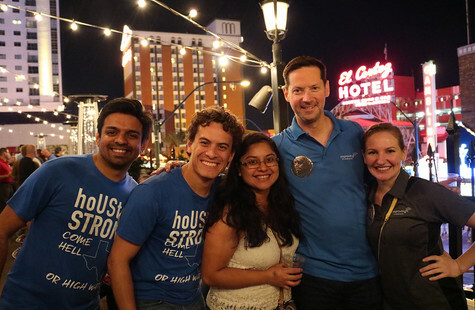 This past Thursday, Improvers from Calgary all the way down to Houston made their way towards Las Vegas for the annual retreat. For many Improvers, this weekend is the only chance they get to see their friends from the other offices. This year, we welcomed the new Cleveland office to the retreat for the first time. After officially joining Improving in August, our Cleveland Improvers jumped in with both feet and had 18 people in attendance for the retreat. Cleveland Improvers at the annual Beer Pong tournament. This year, we stayed at the Paris Hotel and Casino, right in the middle of “New” Vegas. 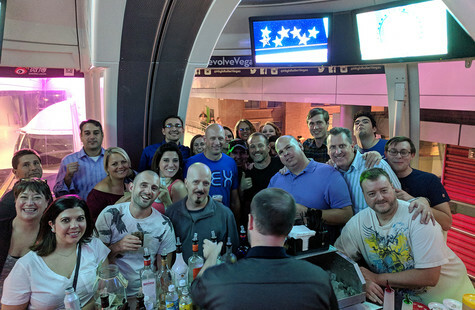 As Thursday night approached, Improvers met at the Le Cabaret bar for the welcome message from Curtis Hite, CEO, before heading out to their pre-selected activity. 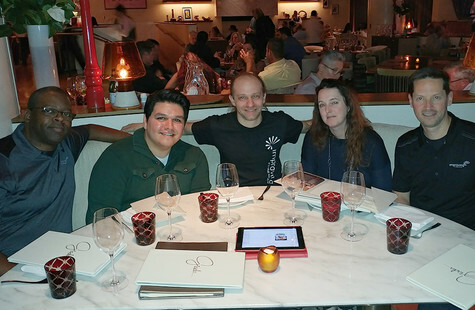 Improvers were able to choose from the High Roller ferris wheel, The Avengers S.T.A.T.I.O.N, KISS Mini Golf, the Circus 1903 Show or fine dining at Giada. The next morning started off with the annual Beer Pong tournament at the House of Blues in Mandalay Bay. 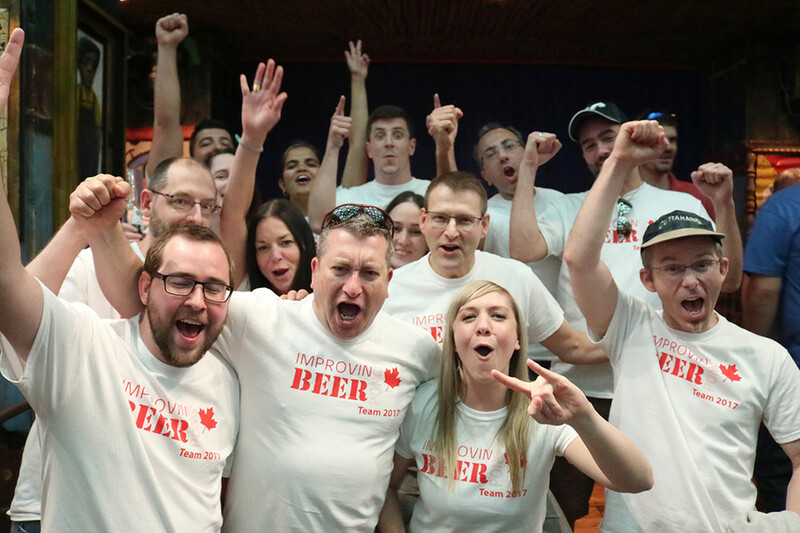 Each office competes and every Improver is encouraged to participate (drinking beer is optional!). This year, Improving – Houston’s practice paid off and they brought home the win and the trophy. Between rounds, Curtis delivered the Town Hall to discuss the past year. Town Hall is a big part of how Improving upholds its commitment to creating transparency. During the presentation, Curtis shared how Improving is growing, new internal initiatives and plans for the future. 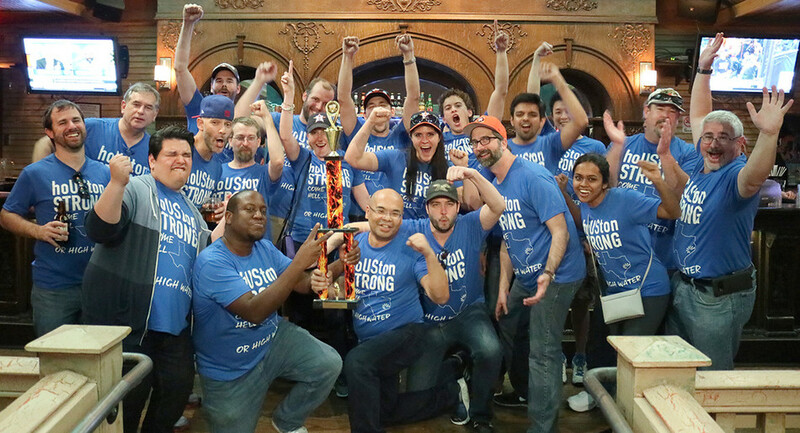 Improving - Houston wins it all at the Beer Pong tournament. After the Beer Pong tournament, Improvers have the next few hours free to do whatever they want. 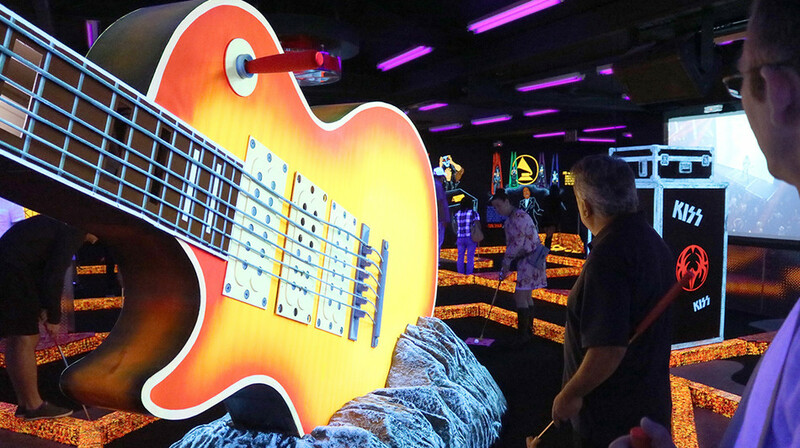 This year groups gathered to do a wide range of activities such as brewery tours, indoor skydiving, the New York New York roller coaster and of course, gambling. 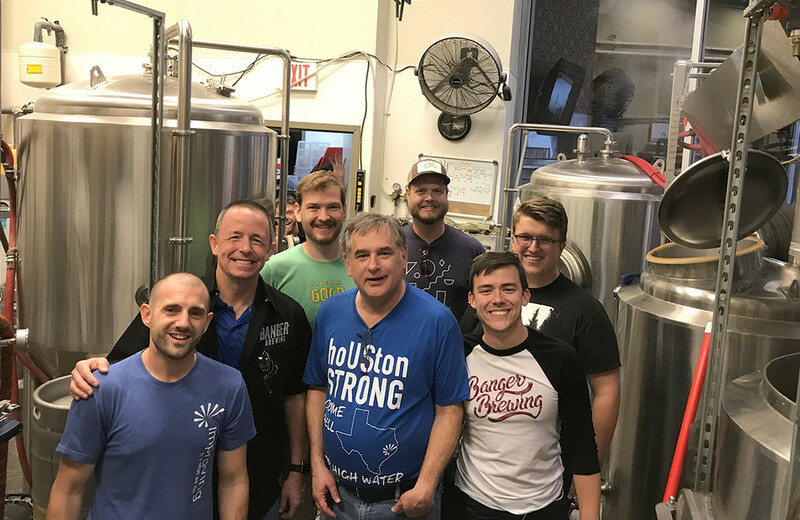 Improvers from left to right: Chris Steele, Keith Wedinger, Matt Michalka, John Cavnar-Johnson, Kris McGinnes, Dan Kober and Jared Headings visiting Banger Brewing. 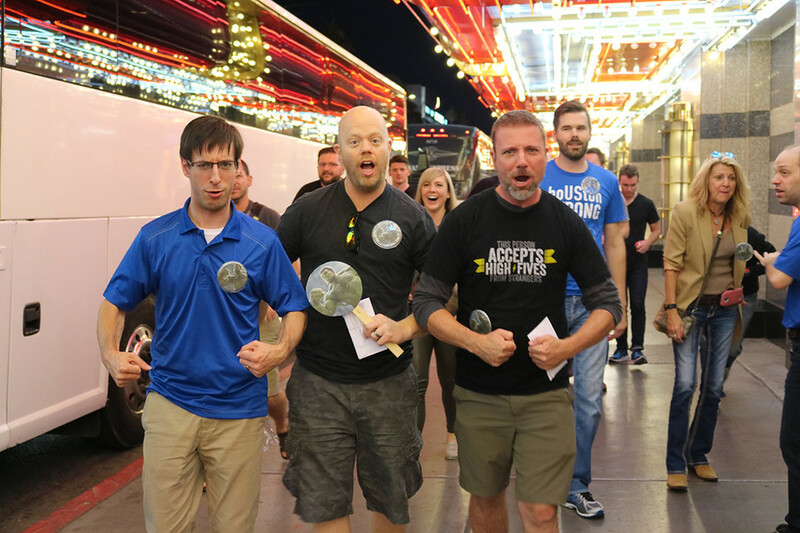 At 5:30, Improvers gather to make their way to Fremont Street to play “Build the Bank.” This is where the fun really begins. Improvers are split up into groups with people from other offices and competition comes alive. The goal of this game is to take the money your team is provided with, complete the tasks and make as much money as you can. The tasks are various games like video poker, blackjack and roulette. 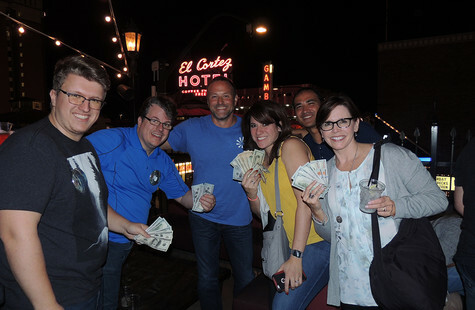 At the end of the allotted time, teams met at the Commonwealth bar to turn in their winnings. The top teams were awarded cash to split amongst their teammates. Team Hulk getting pumped for "Build the Bank" on Fremont Street. Saturday is a free day where Improvers are encouraged to organize trips or activities with their fellow Improvers. 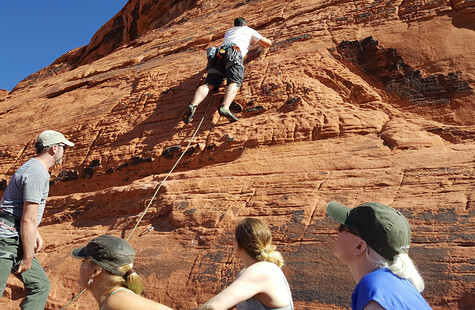 The two most popular activities this year were the hiking trip out to Lake Mead and rock climbing in Red Rock Canyon. 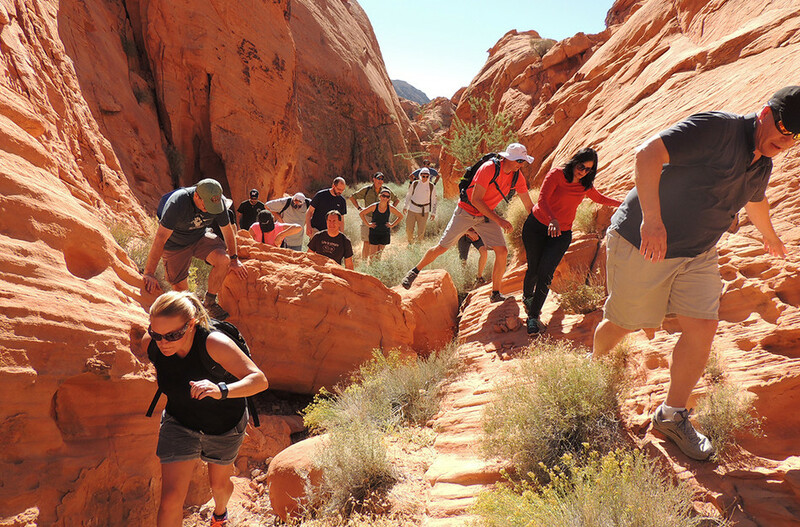 Improvers on the hike to Lake Mead. In the evening, we gathered one last time for the annual Amazing Race. Everyone is split up into new groups and are given clues to find a location where they will complete a task. Each location is manned by two members of leadership from one of the offices. The tasks are designed to facilitate team bonding and include activities like lining your group up in order of hire date, charades with song titles and trivia with fun facts about each city where an Improving office is located. After completing the task, teams are given the clue for the next location. 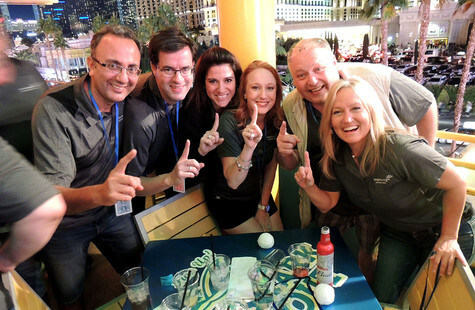 At the end of the two hours, teams met at Margaritaville for the final dinner and announcement of the winners for the Amazing Race. 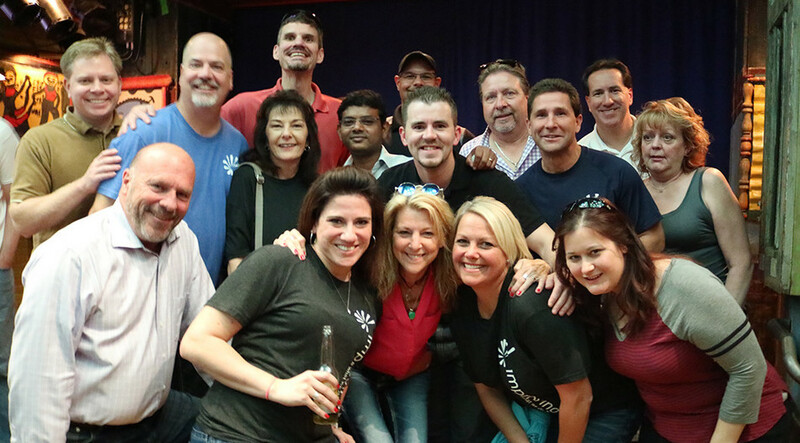 The Las Vegas retreat is always accompanied with fun and new friendships and 2017 is no exception. Until next time, Vegas!